Apocalyptic and foreboding pictures of the ongoing tragedy of Syria. With Isaiah 17:1 looming, those who are able to leave may be happy they did in the long run. Behold, Damascus is taken away from being a city, and it shall be a ruinous heap." 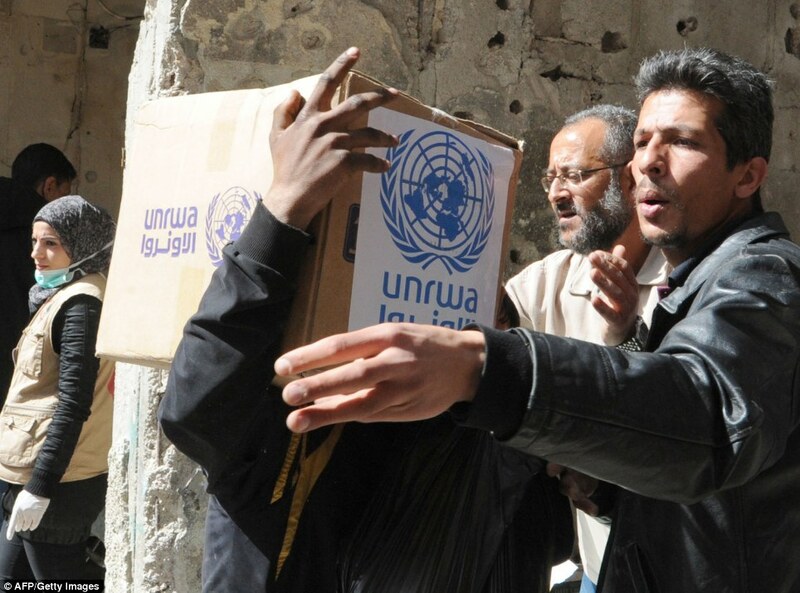 UNWRA chief Chris Gunnes spoke today after a rare visit to Yarmouk on Monday where relief agencies have found it particularly difficult to provide food and medical assistance. 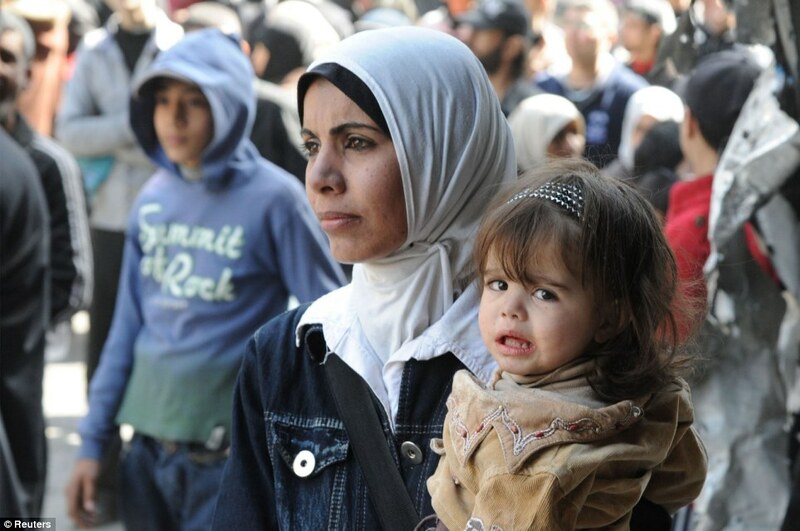 The Yarmouk Camp is a 0.8sq.mi. 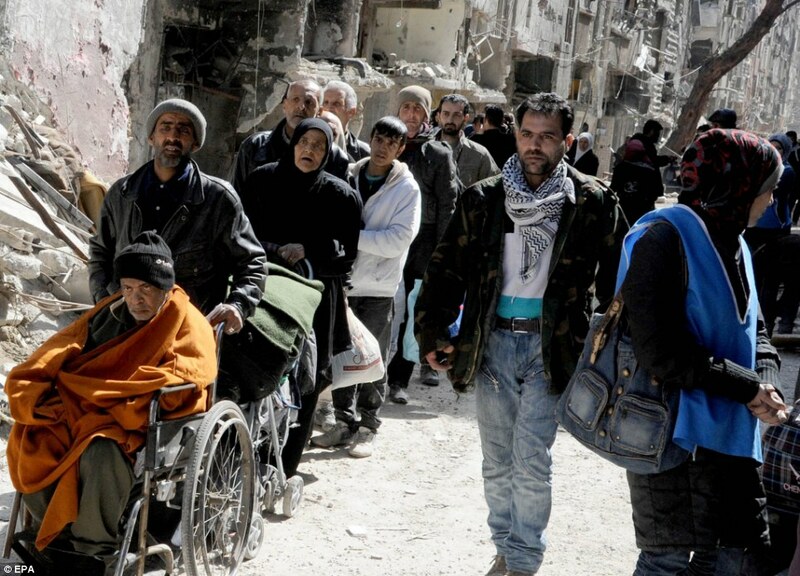 district of Damascus populated by more than 112,000 Palestinian refugees, who are mainly cut off from any foreign help. 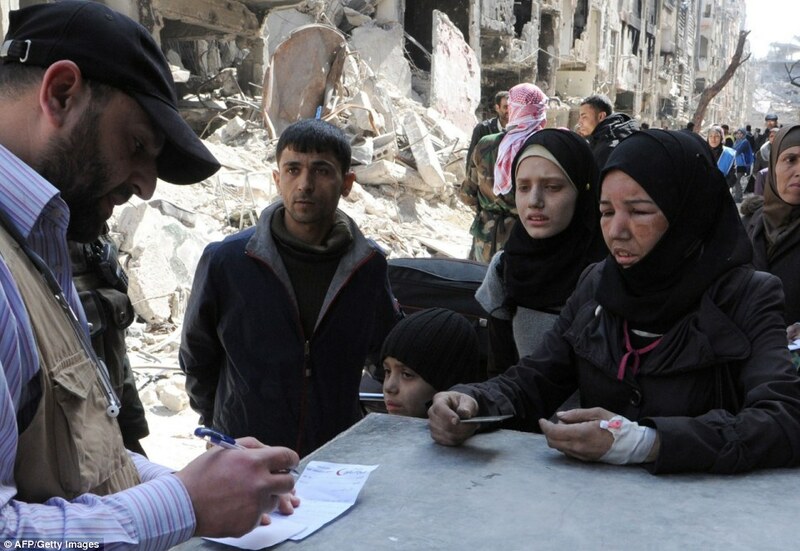 Yarmouk Camp has been sealed since July 2013, resulting in acute and widespread deprivation, including severe malnutrition, while civilian residents are constantly exposed to the threat of death, injuries and trauma of the armed conflict. The UN was given access to the camp by the Syrian authorities late January, which is when the photograph was taken. 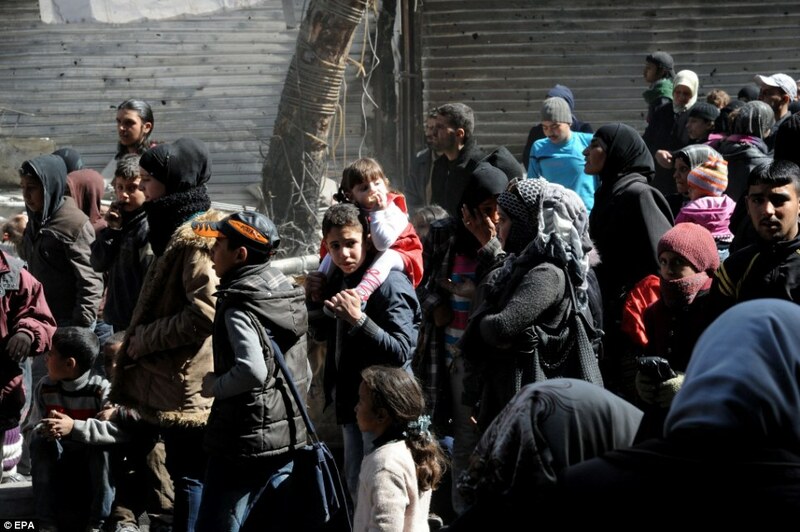 However, following clashes in northern Yarmouk earlier this month, UNRWA said distribution of food parcels and medical supplies may be suspended yet again. 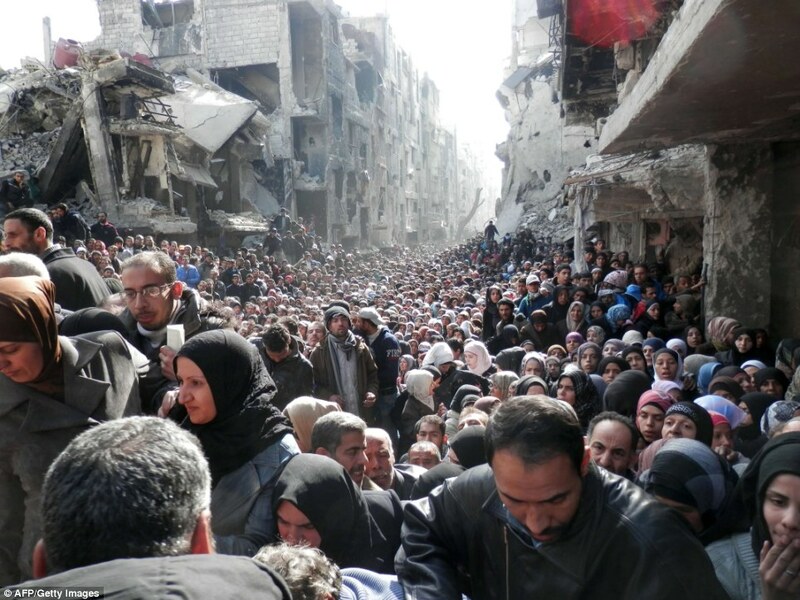 Christopher Gunness, from UNRWA, said: ‘It is impossible not to be touched by the apocalyptic scenes emerging from the Palestinian refugee camp of Yarmouk in Damascus, besieged and cut off for months.